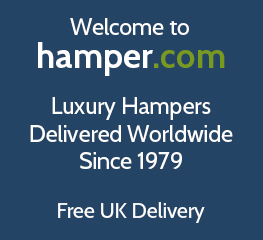 Welcome to hamper.com and our 2019 luxury Father's Day hampers and gift baskets ideas for Dad. Find the perfect Father's day gift to buy for your Dad this Father's day, which is celebrated in United Kingdom is on Sunday 16th June 2019. All our Father’s Day hampers and gift baskets come with free UK delivery, with international delivery options for Dad’s who live abroad. You know he can't resist ice-cold beer, gourmet cheese, vintage port & fine wine or an alcohol free hamper. Buy your present online today & make his day extra special, even if you can't be with him on Father's Day! With Father’s Day just around the corner our hampers will give your Dad a treat, with something for all tastes, budgets and Dad’s of all ages. From new dads celebrating their first Father’s Day, too older dads with grown up children we cater for all with a range of beer, wine, sweets, chocolate and cheese hampers, with even hamper gift selections for Dad’s with a preference for alcohol free presents we have gift sets for all tastes and lifestyles. We have a wide range of food and drink hampers to celebrate Father’s Day, our most popular combination however is our wine and cheese hampers (see below for our selection of cheese and beer hampers to satisfy all cheese loving Dad’s). With a selection of 9 wine, cheese and biscuit based hampers all Dad’s will love; from our wine and cheese hamper gift set, to our luxury port and fine cheese gift hampers and finally the grand hamper, which includes champagne and cheese in a luxury wicker basket, all ensure Dad’s of all ages will enjoy this Father’s Day. All Dad’s love a beer whether it be real ale, craft beer or lager, and what better way to show your appreciation for everything Dad’s do by giving them a beer gift set this Father’s Day. All of our beer hampers for Father’s day come with a selection of beers from around the world snacks, cheese and even chocolate to ensure your Dad enjoys his beer gift to its fullest. We have a selection of 9 Father’s Day beer hampers to help your Dad celebrate Father’s Day, with beer gift sets to suit all palettes. Choosing a Father’s Day gift hamper for your Dad has never been easier; our craft beer, cheese and snacks hamper features two fine Devon craft beers and fine bar snacks like nuts and crisps, or maybe your Dad prefers a real ale hamper created specifically for him. The ultimate beer present for Dad’s who enjoy real ale and craft beer has to be the real ale and craft beer selection. For younger Dad’s (Dad’s to be) celebrating their first Father’s Day why not treat them with a Peroni ‘n Spice beer hamper or classic beer hamper with top premium Belgian lager Stella Artois. For Dad’s with a sweet tooth we have something to cater for them also, with a wide range of online sweet and chocolate hampers for Father’s Day. The majority of our Father’s Day sweet and chocolate hampers come with wine or champagne, or for Dad’s who are wine lovers why not get the best of both worlds with a fine Rioja wine & chocolates gift. However the ultimate gift for sweet and chocolate loving Dad’s has to the hand tied ribbon Father's day chocolate bouquet with varieties of Cadbury’s chocolate to satisfy the most demanding sweet tooth. Not all Dad’s drink alcohol though and it can be quite difficult to find great looking alcohol-free gifts for Father’s Day. We have you covered though, with a wide selection of luxury non-alcoholic hampers with an assortment of soft drinks to ensure you can treat your Dad this Father’s Day. We have 11 alcohol free hamper selections for Father’s Day; from our luxury ploughman’s hamper, to our highly popular bearing gifts hamper. However, if your looking for a special gift treat for older Dad’s then the ultimate alcohol-free hamper is a must that all the family can also enjoy. Alternatively, you may be looking at creating a more personal gift for Father’s Day, this is why we have created a make your own father’s gift hamper selector so you can choose to fill your dad’s hamper with gifts you know he will love. We have a wide selection of cheese, chocolate, beer, wine and spirits for you to select to create your own customised Father’s day gift hamper. Just visit the create your own hamper page here and start to make your own Father’s day gift. For 2018 we also have a stunning range of new packaging including Gift Boxes, Wicker Baskets and Gift Trays. Order your Father's Day gift hamper online today and treat your dad, stepdad, papa or grandad to a delicious food hamper delivered direct to their door! At this time of the year, maybe you are not in the same country as your Dad and want to get him a present to show him how special he is to you. We understand that buying hamper gifts for Dad’s who live overseas can be difficult so many of our Father’s Day hampers and luxury gift baskets we offer as international delivery to many locations around the world. Whether your Dad lives in Australia, USA, Canada, New Zealand or South Africa we have a wide range of Father’s Day hampers and gift baskets that you can send overseas. Just visit the international hamper delivery page here and select your gift to send to your Dad for June 17th. There are so many options on what gift hamper to buy your Dad for Father’s Day, even with hampers it can be hard to navigate all the options available. This is why we have created a couple of Father’s Day buying guides to help you make the right decision on selecting your Father’s Day gift.